Wear your Halloween Best! Bring your buds! $1500 in cash and prizes at our Halloween Bash! October 28th at Wellman's Pub & Rooftop and Shotgun Betty's at West Glen Town Center in West Des Moines. Well, maybe she's more of a Bloody Mary and mimosa type gal. Either way, we've got Mother's Day covered at Wellman's Pub Ingersoll and Wellman's Pub & Rooftop. Mothers Day Brunch + $12 all you can drink Mimosas and Bloody Marys from 10am-2pm. 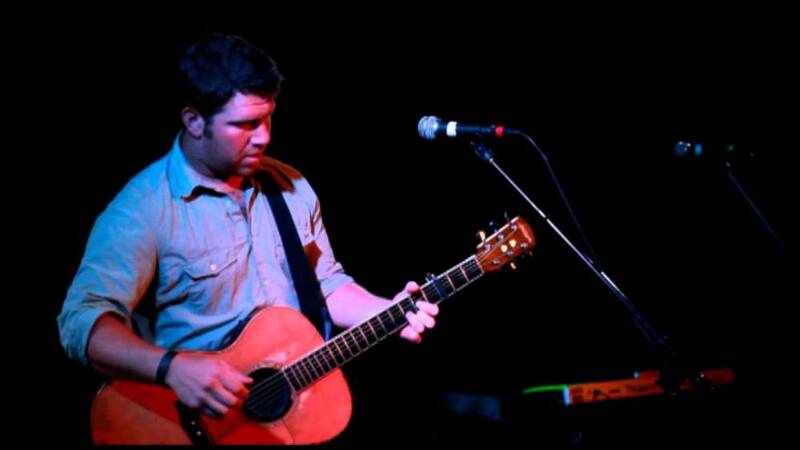 Live acoustic on the patio with Brian Congdon from 3-6pm. And if you want to just chill on the patio in the afternoon, we're going to have a special live acoustic performance on the Grotto Patio with Brian Congdon from 3-6pm. Lots of new stuff going on here at Wellman's Pub & Rooftop in West Des Moines. We have several new happy hour food items and our $5 Moscow Mule special from 3-7pm as well. Check it out! Wellman's Pub & Rooftop is excited to announce the live music schedule for Sunday Funday. We'll have LIVE music every Sunday outside on the Grotto Patio from 3-6pm. Grab your buds and chill with a brew and some tasty eats in the sun. Wellman's Pub & Rooftop is giving away lots of good stuff. All you've gotta do is drink some tasty beers. Drink beers. Win prizes. Ho. Ho. Ho. We'll give you a punch card. If you drink all 25 craft beers on our menu, you're eligible to win! You’re on your way to drinking yourself to some AWESOME prizes! You will get to enjoy some great tasting craft beer along the way! You must buy one of each beer within the 25-day period. Beers can be drank whenever, you’re not limited to the beer on special that day. Upon completion, you will turn in your stamp card. Show your ID for proof of ID. You will then receive a $25 gift card to Wellman’s, a 6 pack of assorted craft beer, and your slip you filled out will be entered into a drawing for several grand prizes. Winners will be announced on December 26. We will email the winners their prizes! So make sure to stop in to Wellman's Pub & Rooftop in West Des Moines to fill out your form! ALSO: We're taking reservations now for Holiday Parties here at Wellman's Pub & Rooftop. These spots fill up fast, so give us a call if now you'd like to save your space for your office party. Call us at 515-222-1100 to reserve your spot. We have a new menu! You'll see some of our old favorites and a couple new ones added to this beautiful new menu at Wellman's Pub & Rooftop in West Des Moines. Stacked sandwiches, bold burgers, pizzas, tasty salads and some of our popular wraps and gooey mac & cheese. Check out the menus below and stop in to sample some of our famous dinner and lunch items. It's time to celebrate our nation's independence. And that falls on a Monday, which means you probably don't work. So hang out this weekend with us at Wellman's Pub & Rooftop! Sit on our patio, and eat tasty things to eat and drink tasty beverages. Saturday and Sunday Brunch. Brunch from 10am-2pm. Also, $12 all you care to drink mimosas and bloody marys. Brad Seidenfeld live on the Grotto. 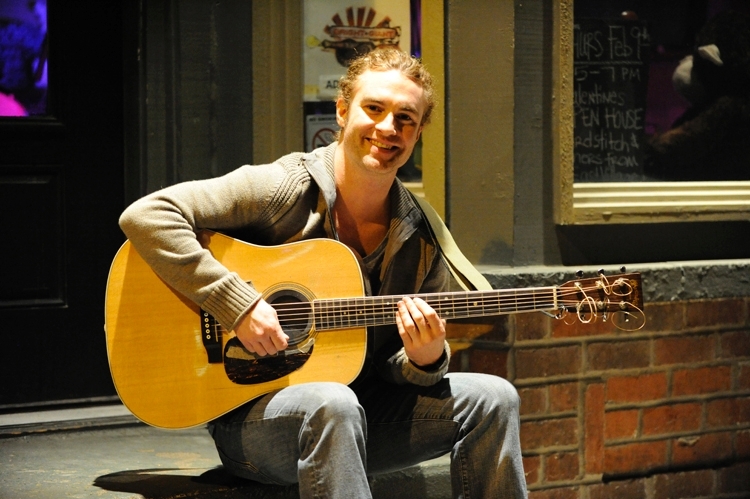 Sunday, July 3rd from 3pm-6pm, live from the popular acoustic sounds of Brad Seidenfeld. 4th of July. We're open all day from 11am until close. Mother's Day Brunch at the Rooftop! Bring mom in for Mother's Day for Brunch + $12 all you care to drink mimosas and bloody marys! This Sunday from 10am-2pm Sunday. See all you beautiful mamas on Sunday! And while we have your attention, we thought we'd let you know that we've announced our Sunday Funday live music lineup for Spring and Summer. Damon Dotson, Bruce Day, Brad Seidenfeld, Brian Congdon, Keifer Brandt, JB/JC will be rocking acoustic shows EVERY SUNDAY here at Wellman's Pub & Rooftop in West Des Moines. 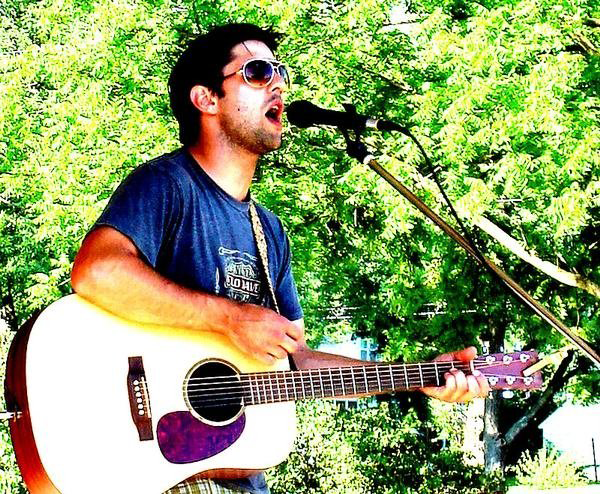 This Sunday, we'll have Brad Seidenfeld on the Grotto Patio from 3pm-6pm. You can find the full lineup on our website here. P.S. We're HIRING Wellman's Pub & Rooftop in West Des Moines is hiring servers for the summer. Great money and the best team in the business! Stop in and apply anytime, or email Stef here. Introducing West Des Moines' Best Beer and Burger Night! We're trying something new here at Wellman's Pub & Rooftop starting every Tuesday. EVERY TUESDAY, join us for our Iowa Beer and Burger Night at the Rooftop. We're famous for our Burgers here and want to make it an ALL-IOWA event, supporting local farmers and brewers. We've upgraded our burgers to ALL-IOWA certified black Angus beef. We're happy to feature these special $5 burgers on Tuesdays. In addition, we're going to be featuring our Iowa beers these Tuesday nights and giving $1 off any pint of an Iowa brewed beer. So tell your beer and burger loving buds! It's the most wonderful time of the BEER! You like beer, right? Are you cool with the holidays? Excellent. Join us to drink some beers and toast the Holidays. $25 gift card, and a prize bag with a 6 pack of Exile Craft beer, 2 beer logo glasses, an Exile T-Shirt, and 2 koozies. Everyone who finishes is also entered into a drawing for 3 GRAND PRIZES worth hundreds of dollars! Some of the GRAND prizes include The Coors Light suite at an Iowa Wild Hockey game, a Deschutes Bags game set, beer logo mirrors, brewery tours, and much more. It starts TOMORROW Tuesday, December 1st and runs thru December 25! Wellman’s Pub in Des Moines and Wellman’s Pub & Rooftop in West Des Moines, announced today that they are again partnering with Iowa Beverage Systems to support St. Jude Research Hospital this holiday season. This is the second year in which Wellman’s has participated. It began in 2014 as a holiday-themed event for one weekend, but has evolved into a holidays-long event lasting most of December. Last year Wellman’s ended the fundraiser with a private event wherein people were able to donate more. Because of this success, it's become an annual event. “We are very excited to continue our tradition of contributions to St. Jude Children’s Research Hospital to help raise funds to support its mission to find cures for children with cancer and other catastrophic diseases," said Wellman's Pub & Rooftop owner Tom Baldwin. "This year’s campaign slogan ‘Don’t be a Grinch, Giving is a Cinch’, was a collective idea of several of our waitresses and bartenders. Last year, our employees, loyal customers, and even those stopping in for the first time donated to make this event a resounding success." December 7---December 31: Anyone can stop into either of the two Wellman’s Pub locations and make a donation. Servers and bartenders will ask each customer if they'd like to donate. With every donation, customers will have a stocking hung at the bar in their honor. December 17, 18, & 19: for any bottle or draw of Coors Light sold, Iowa Beverage Systems will be donating $1 towards this great cause! To learn more about St. Jude Children's Research Hospital, visit www.stjude.org. Turkey bowling is BACK! Join us again for our annual Turkey Bowling at Wellman's Pub & Rooftop! Wednesday, November 25th, 7:30pm registration and 8:30pm the competition begins. Winning team gets a $100 gift card and the 2nd Place team gets a $50 gift card. $3 Coors Light's all night! Tell your friends and see you out bowling! We've added a couple new things to our brunch menu. Come and check them out here, or in person on Saturday and Sunday from 10am-2pm.